Might it finally be the case? Do we at last have a reason to celebrate? 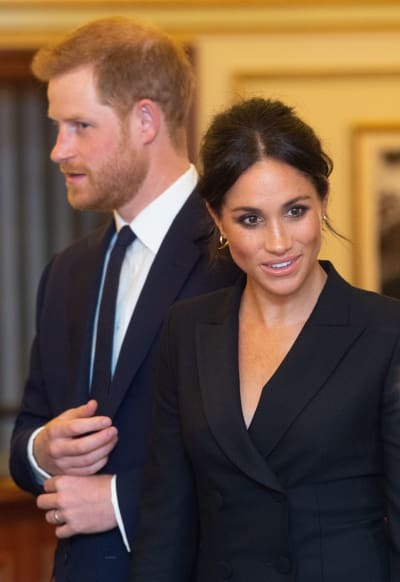 These are the questions being posed by Royal Family fans around the Internet right about now, as a new round of Meghan Markle pregnant rumors are spreading throughout social media. 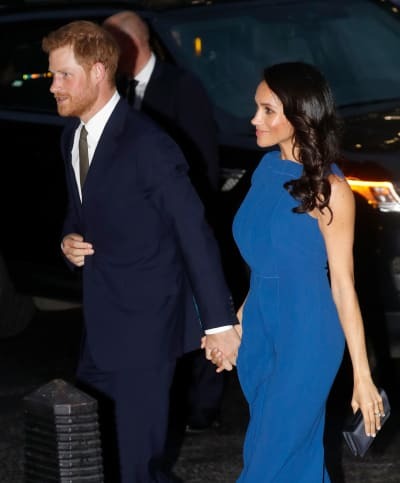 The speculation is nearing an all-time high after the Duchess of Sussex attended the 100 Days to Peace Gala in London on Thursday, with all eyes fixated on her blue bespoke Jason Wu dress. It’s a beautiful number, about that there is no doubt. But was it covering an even more beautiful baby bump? 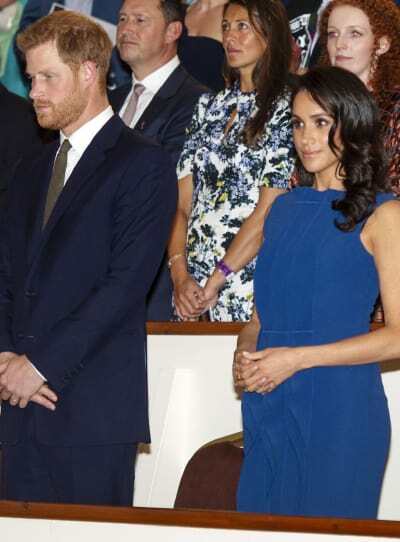 Based on the type of gown Markle was donning, along with the position of her hands at times and the possible protrusion of her stomach, this is what some folks now believe. 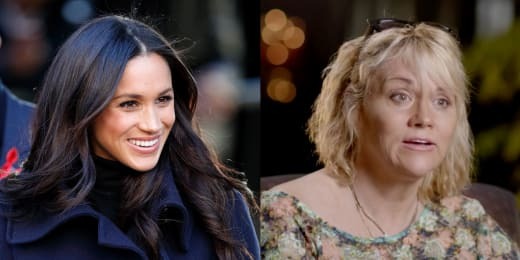 “I have a feeling Meghan Markle is pregnant,” wrote on random individual, while another noted that the former actress appears to have “glowing” skin and shinier hair than usual. Those would both be signs of pregnancy. We sort of see where these folks are coming from. We’re not saying Markle is pregnant for certain. But we’ve heard more outlandish claims based on far less revealing photos. For whatever it’s worth, Markle’s awful father has said multiple times of late that she and Prince Harry want to start a family in the near future. There have been tabloid covers left and rght ever since the stars got married in May that alleged a child was on the way. Heck, sometimes there’s been talk of TWO kids being on the way. But an Us Weekly insider says folks should slow their pregnancy role in this case. “Chalk this pregnancy speculation to an unflattering dress and wind. “Meghan and Harry have a busy rest of the year. They are excited to start a family but have always wanted to focus the first year of marriage on their official work and starting to bring awareness to causes close to them. Fans do need to remember that the couple has not even been married for six months. It does seem very likely that they will be parents at some point, but that point may be the year 2020 or 2021. Perhaps even 2022. They are not in any rush, even if the desire is very much there. We think he found that person. But when their lives calm down a bit and they have more time to plan out their future, that’s when we’re guessing the unprotected Royal pounding will begin. Rob Kardashian Baby Name: Revealed! As Ridiculous as You Thought It Would Be! Previous story Cardi B ATTACKS Niki Minaj! Watch the Crazy Footage!